One good reason that not much is ever written about the expense of covering consumer electronics with product warranties: costs generally aren't that high. Except for laptops and smartphones, the expense rates for most consumer electronic products are generally quite low. But there are some big gaps in the amount of warranty data that's available, outside of a handful of top industry brands. The problem with consumer electronics warranties is that most of the products are imported. And the problem with imports is that a decreasing number of international companies are choosing to conform to U.S. accounting rules that require the disclosure of their warranty expenses. So compared to some of the other top warranty-issuing industries, where most of the major brands are U.S.-based, there's a real gap in the amount of warranty data that's available for items such as televisions and radios. Fortunately, June is the month that most of the top Japanese manufacturers deliver their annual reports for fiscal years that end in March, and July is the month that we finally get around to writing about them. We kicked off the month talking about Honda Motor Co. in the July 2 newsletter, then we got around to Toyota in the July 16 newsletter, and both Komatsu and Kubota in the heavy equipment warranty report last week. This week, it's the turn of the top Japanese consumer electronics companies to get their warranty expense reports scrutinized. In just the past few weeks, Panasonic Corp. and Hitachi Ltd. have filed their annual reports, with Sony Corp. filing in June and Canon Inc. filing in March (its fiscal year ends on Dec. 31). We wish there was some dramatic news in the data, but there's not. Instead, as in past years, product warranty costs remains a minor expense for most of the top consumer electronics companies. To be sure, extended warranty revenue is a very big deal for many retailers. But the costs? This stuff doesn't break anywhere near as often as do most vehicles, and the cost per claim is also quite low. Those may sound like opinions, but here are the facts: while most vehicle manufacturers see 2% to 3% warranty expense rates, three of those four top consumer electronics manufacturers have never seen expense rates above 1%. And the only one that has -- Sony -- is the only one with a major presence in the laptop computer market, where warranty costs are just as high as they are in the vehicle markets. With household appliances, the story is less consistent. Home heating and cooling appliances tend to have longer warranties with higher costs, but with household kitchen and laundry appliances, it really depends upon the manufacturer. Some U.S.-based brands have 2% to 3% warranty expense rates, but the top Swedish brand has rates only half that high. To begin our worldwide warranty tour, let's take a look at 12 years of Panasonic data. This is one of the top consumer electronics brands, not only in the U.S., but all over the world. In the past decade, the highest warranty expense rates the company has seen have been in the 0.6% to 0.7% range. In the most recent fiscal year, claims costs remained below 0.4%, and accrual rates also dropped to that relatively low level. To put it another way, Panasonic spends 16 times more on research and development than it does on warranty expenses. It spends 3-1/2 times as much on advertising than it does on warranty. It paid out more in dividends than it did in warranty claims last year. Meanwhile, Panasonic's accrual rate -- the amount of money it sets aside at the time a product is sold -- has been declining for five consecutive years, from that peak of 0.6% to the most recent low of 0.35%. This means that for five consecutive years, Panasonic has been driving its already low warranty expense rates even lower. What we're saying is, if Panasonic sells a $100 television, it is budgeting for an average of 35 cents in warranty costs over the life of their coverage. 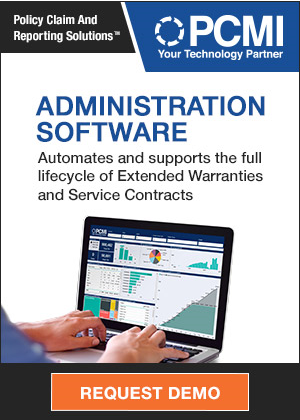 Granted, the coverage may last only a year, and not every unit will need warranty work during that period, but how many computer, telephone equipment, medical device, or avionics manufacturers can boast of an 0.35% accrual rate? Consumer electronics are mass produced, and with the transition to digital most of the moving parts and points of friction have been eliminated. If they break, they typically don't work out of the box. If they work a day they'll work a year. And if they break later, they're typically disposed of rather than repaired. In contrast, at this moment Best Buy Co. Inc. is selling a $200 Panasonic 32-inch television, with an optional extended warranty priced at $25 for two years or $40 for five years. That's between 12% and 20% of the purchase price. Is that a bargain for the consumer? Let's say they experience twice the loss cost of the manufacturer during the second year. That would be $200 x 0.35% x 2 = $1.40. That's still a pretty good margin on a $25 contract, even after administrative costs and insurance fees are included. Or let's assume that over five years, the loss cost is 10 times as high as the manufacturer's product warranty costs. That's $200 x 0.35% x 10 = $7.00. Chances are, there's still quite a bit of profit left in that $40 contract, even after five years. Then again, we are talking about some of the premium brands in these charts. Canon makes the best cameras, and Sony makes the best televisions, so low repair rates are to be expected. Buy some of the unknown brands at bargain prices and you might expect more frequent failures, so extended warranties could be prudent. One time, a major retailer sold TVs for which there were no spare parts in the U.S., and the staff sold extended warranties too, creating a huge loss cost for the company, whose actuaries were looking at Panasonic and Sony failure data and parts costs. And with rear projection TVs, consumers with service contracts hit the jackpot, getting expensive bulbs replaced for free. Sometimes selling the risk is worth the price. TVs, clocks, radios, stereos, video gear -- they all have relatively low warranty expense rates, especially with the top quality brands. This isn't true for smartphones or computers, however. Both of those are high-warranty-cost items, and the loss costs for those service contracts are far higher than the above examples. In fact, we suspect that some of the smartphone protection companies have at times underpriced the risk, and lose money on their protection plans. At first glance, the warranty expense record of Sony in Figure 2 would seem to contradict this pattern. First, its expense rates are rising, and second, they're three or four times as high as Panasonic's. But remember, Sony Mobile Communications AB makes smartphones, and until midway in the last fiscal year was also a major manufacturer of laptop computers (the Vaio brand was sold a year ago to Japan Industrial Partners Inc.). As the divestiture of Sony's PC product line works its way through the warranty accounts and all the remaining units age out of their warranty coverage, we would expect Sony's warranty expense rates to drop back below one percent. It's the same thing that happened to IBM when it sold its ThinkPads to Lenovo: a product line with relatively high warranty costs became somebody else's problem. However, Sony Mobile Communications still accounts for 16% of total revenue and an even higher percentage of just warranted product revenue (minus the films, music, and financial services). And, although this can't entirely be blamed on warranty costs, it was the only money-losing sector of the company in fiscal 2015. Specifically, Sony blamed the net loss in mobile communications on the write-off of goodwill and "high ratio of U.S. dollar-denominated costs." But unit sales of Sony smartphones were flat last year, so we suspect much of the increase came from repair costs. In other words, the rising cost of smartphone repairs drove smartphone sales into the red. In Figure 3 we're looking at Canon Inc., makers of cameras, video camcorders, printers, projectors, office equipment, and all sorts of digital imaging technologies for both business and consumers. While it makes imaging software and printers for computers, it exited the computer business decades ago. An it has never been part of the smartphone business. Here we're looking at a company whose warranty expense rates peaked back in 2008 and 2009 in a range of 0.6% to 0.75%, and have lately fallen back to the 0.4% range, give or take. By the way, despite the company's Japanese heritage, it chooses to conform its fiscal year to the calendar year, which is why the annual data below is formatted the way it is. In 2014, Canon's total revenue dropped slightly, while its claims payments dropped by more and its total accruals rose by about 17%. That's why there's a slight dip in the company's claims rate but a noticeable increase in its accrual rate. Overall, Canon's latest claims rate is at its lowest point since 2004, though its accrual rate is at its highest level since 2010. Canon, Sony, and Panasonic are always among the brands in the top ten reviews, and also seem to hold their value very well in the used market. We hesitate to say that low warranty expense rates correspond to high reliability, but these are the most reliable brands. And the numbers in these charts speak for themselves. Compared to most other manufacturers, these rates are very low. Hitachi is yet another warranty cost-cutting success story. In Figure 4, we see a company that has driven its warranty costs down to an astonishingly low level, with both its claims rate and its accrual rate below 0.2% for three straight years. But is Hitachi really a consumer electronics company? In its latest fiscal year, the company said 19% of sales came from "Information & Telecommunications Systems," which includes big data and cloud computing, secure information systems, servers, storage systems, network equipment, image scanners, terminal devices, and many other items not typically found in the aisles of your local retailer. Another 14% of revenue came from "High Functional Materials & Components," and another 11% came from "Electronic Systems & Equipment." And there are also automotive systems, construction machinery, wind turbines, and nuclear power plants in the product line. However, about 7% of sales did indeed come from "Smart Life & Ecofriendly Systems," which used to be called "Digital Media & Consumer Products." Those products include refrigerators, washing machines, vacuum cleaners, air conditioners, dehumidifiers, rice cookers, LED lighting systems, and microwave ovens. By the way, while for the past four fiscal years Hitachi has reported its warranty expenses on an annual basis only, at times in its past it has released such figures twice a year and even on a quarterly basis. That's the reason for the occasional spikes and drops in the data in Figure 4. But whether the data comes in pairs or quartets, the downward trend is readily apparent. Electrolux is definitely a consumer products company. But is it a consumer electronics company? Well, its kitchen and laundry appliances are increasingly controlled by electronics, with all sorts of sensors, timers, operating systems, and automatic operation modes built into the units. Furthermore, while it's not based in Japan, it is based outside the U.S. (in Sweden), so it belongs in this week's group. So while it doesn't directly compete with Sony or Canon, Electrolux does compete with Panasonic and Hitachi, at least in the home appliance category. Among large U.S.-based companies, besides GE Appliances, its only remaining competitor is Whirlpool Corp. Kenmore is actually an Electrolux, Whirlpool and GE customer, reselling appliances they private-label for the Sears brand. In Figure 5, however, we see that Electrolux has rarely spent more than one percent of its revenue on warranty expenses. That's a far lower rate than Whirlpool. Accruals edged above that level in 2014, but the company's claims rate remains virtually stuck at the 0.8% mark. Suffice it to say that there's no sign of high warranty costs in the Electrolux product line. However, Electrolux is also on the brink of acquiring the appliances business of General Electric Co. (if opposition by the U.S. Department of Justice can be overcome). In its complaint, the Dept. of Justice listed market dominance and the reduction of competition as big reasons for its civil action against the merger. Electrolux might want to amend its argument in favor of increased market efficiency to include lower warranty costs and repair rates. Finally, let's take a look at one of the very few Canadian companies that reveals its warranty costs and one that just so happens to have concluded its most recent fiscal year on Feb. 28, 2015. BlackBerry Ltd., formerly known as Research in Motion Ltd., makes smartphones -- formerly known as radio modems, wireless communicators, two-way pagers, or handheld mobile devices. They were in the business almost a decade before Apple Inc., but were almost swept aside by the iPhone and Android devices. In Figure 6, we can see a company that has finally seen its escalating warranty expense crisis at least plateau. Hardware sales are down, but warranty expenses are down almost as much, so the claims rate remains about the same, just under 9.5%. The company's accrual rate, however, did see a bit of a drop, from 7.1% to 5.5%. That's still on the high side, but at least it's no longer rising. BlackBerry is the best example of the phenomenon we've seen at not only Sony, but also at Hewlett-Packard and Palm Inc., IBM and Lenovo, and many other computer manufacturers: in terms of warranty expense, laptops cost more than desktops, and handhelds are the most expensive of all. As the footprint shrinks, the warranty costs rise. But back to our central thesis: consumer electronics product warranties do not seem to be very expensive, at least in terms of the percentage of revenue they drain from their manufacturers. When we examine warranty expenses in the U.S.-based consumer electronics category, it's dominated by speaker manufacturers, headphone makers, speed trap detectors, and video game consoles, so it's not directly comparable to the product lines of these importers. But the expense rates were much higher. In contrast, extended warranty is a very big deal for the retailers who sell them, and for the insurance companies and administrators who run those programs. And even within the product warranty realm, the cost of claims is a very big deal for the laptop computer and smartphone makers. But for televisions, toasters, and transistor radios, repairs are far less likely than replacements. Four options to consider before buying an extended warranty. A.M. Best affirms A- financial strength rating of London General Insurance Co. Ltd.
Warranty management firm Infinity Assurance raises $600K from Indian Angel Network. EY launches warranty analytics service for SAP. Volvo Cars introduces "Pay Once and Never Pay Again" lifetime warranty. Allianz Global Assistance UK survey finds 61% look online for car warranty advice. Tesla Motors fans in Russia beg the company to begin imports there. Does "as-is" disclaimer work as expected in an aircraft sale? WatchGuard Video to cover police body cameras with $300 3-year extended warranties. GWC Warranty introduces iPad app for dealers selling vehicle service contracts. Warranty Direct says Ford Fiesta is best blend of economy and reliability. Rolex lengthens warranty on watches to five years.